Hello Ron, hope you're doing well. Are you sure Lerg was loaned to Lake Erie and not Grand Rapids? Detroit's goaltender got "dinged up", had to come out of the game, and I wondered how the carousel would start turning. Hey there Alan...transaction page said Lake Erie and that's why it caught my eye. You may be right ! .....Was I not suppose to be feeling well and didn't know it LOL ? Just curious ! Hmmm, might be legit however Lake Erie does not reflect his where abouts in roster or transactions. Grand Rapids called Reichard from Indy. No Lerg there either. However Reichard..still listed on Fuel roster..wonder why Fuel did not take Levine over the 2 they have..seems he is a better goalie. .
No, not at all Ron. I merely meant that I hoped everything was going well (good) for you. As for Lerg. You were absolutley correct. According to today's ECHL transactions, Lerg has been called up to Lake Erie. Cody Reichard (Indy) has been called up to Grand Rapids. 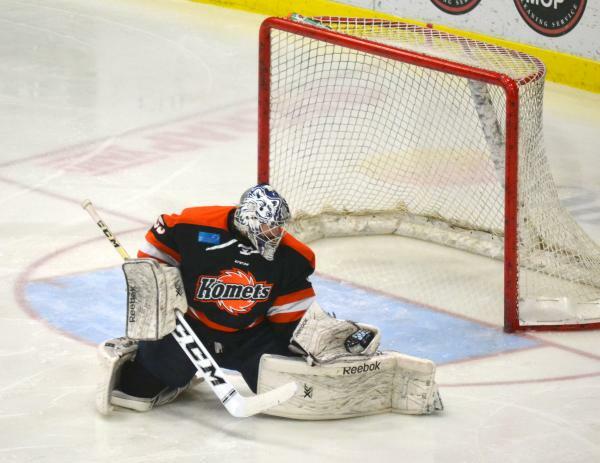 While it may feel like a "slight" to Nagle (or any other of the Avalanche family of minor league goalies), it may be that Lake Erie and Colorado recognize the plight of the Komets by grabbing someone out of the organization. By doing it that way they stabilize Fort Wayne's situation more. If I was a conspiracy theorist I'd be thinking that they took Toledo's ( Fort Wayne's chief competitor) #1 goaltender in order to help out by denying Toledo. Yea, I know, I need more sleep!! Did not c that in echl transactions..nor on roster 4 Grand Rapids?